I’m so happy that you are here at my humble blog and today I would like to share with you a review of Wonderful Oil by Remember Me. The name of the product says it all. It is indeed a wonderful oil. To be exact it is actually black seed oil. Read carefully as in the next couple of minutes I am going to explain to you what black seed oil is and how you can benefit from it. First off, this how black seed look like. Does it look familiar? Like many other oil out there the way to extract the oil is by using the compressing method. The special thing about black seed oil from Remember me is because they used the purest way to extract it and if you purchase the bottle it is 100% black seed oil with out any other ingridients. It is so pure that you can actually consume it. How are you? Like always, I hope everything is going awesome at your end. If it is not, dont worry you come to the right place. Allow me to share with you one of my wanderlust and hopefully it will inspire you to plan you own vacation as well. After all, life is about enjoying the journey as mush as you can right? I mean after all the hard work you have done, you deserve to enjoy life as well. hehe Remember that the world is like a very thick book and those who travel definitely read more than one page. Just go out there, recharge and come back to work with higher motivation that ever. 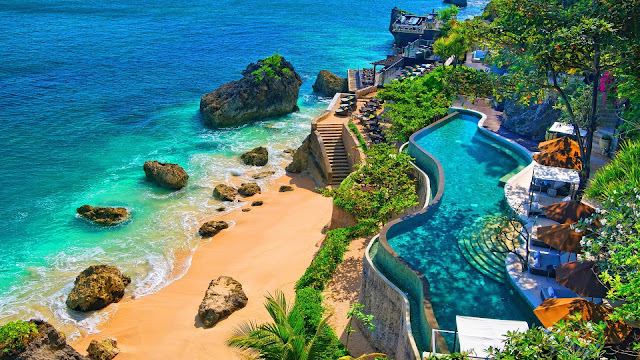 You might have guessed with the tittle of this post that the location I am talking about is the Wonderful Indonesia. Yes.. our beautiful sister country.Since Indonesia is very big in general, and if I was given an option to pick top 3. Then I would settle for Bali, Yogyakarta and Jakarta. Will share with you why right after this. How are you? Hope you are feeling awesome. 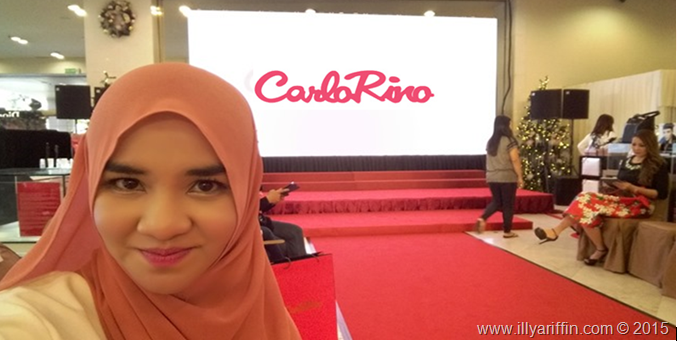 My post today is dedicated to one of my favourite hand bag brand which is Carlo Rino. Great thanks to Cynthia for extending the kind invite to their fashion show. Weee! Do you know that Carlo Rino have been with us for 30 years? Amazing right? Congrats to the team behind this amazing brand for bringing the best quality and great selection of stylish and trendy leather goods and foot wear. This is how it looks like if you are a model I guess. So many cameras on you! anyway, nice shoe worn by the model right? It is one of the new collection under Carlo Rino which is the ‘Once Upon A whimsical Wonderland’ collection and they are just very beautiful. It looks very comfy too..
Siapa nak kulit yang cantik dan sentiasa muda? Harini illy nak share satu produk yang tak asing lagi which is Olay Total Effects 7 in One Day Cream SPF15. Bagi yang rajin pergi pharmacy mesti tahu pasal produk ni sebab Olay memang terkenal dari dulu lagi. In fact, dari zaman sekolah lagi I remember seeing them on the shelves di pharmacy. Kalau sampai sekarang masih ramai lagi yang setia dengan produk ni, well that says a lot about their effectiveness.. Yer la kalau produk tak bagus mesti orang dah tak beli dan stop production betul tak? Dengan zaman sekarang ni makin mencabar, dulu seorang jaga diri sendiri jer. 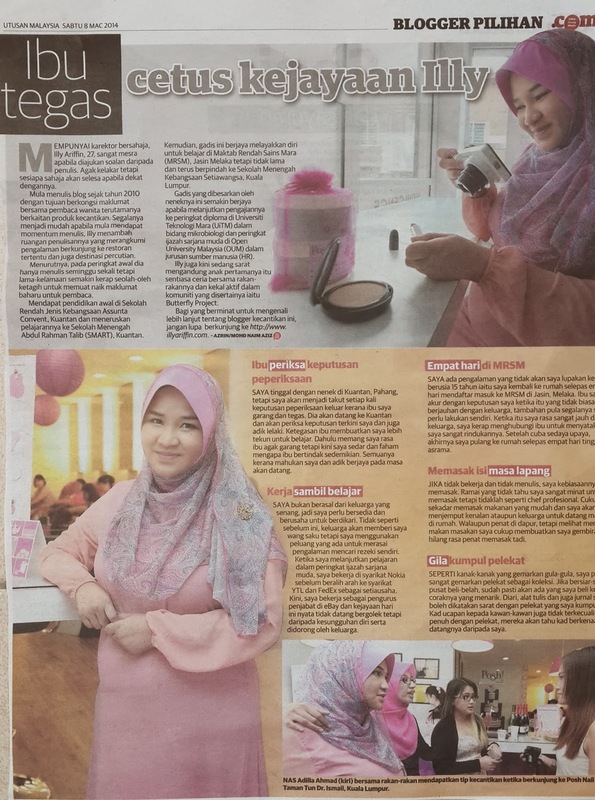 Sekarang ni ada suami, ada anak, ada kerja lagi so lagi lah extra challenging nak jaga kecantikan diri sendiri. Dengan tidur selalu tak cukup (salah sendiri susah sangat nak tidur kepala tu pikir macam2) makan pun sambil lewa, pollution apa semua masuk campur sekali kekadang tu memang tak larat sangat nak tempek mask kat muka pun rasa letih. Pernah tak rasa camni? Illy selalu. Sofea suka sangat duk atas our luggage macam tu, dukung tak nak haha lawak betul..
Siapa pernah kena rompak? Harap takde la siapa yang illy kenal or tak kenal kena sebab memang mengerikan. Illy pernah 3 kali kena rompak in a year. This happened around 4 years ago. Rumah bawah masa tu. I think it is better for me not to disclose kat mana location. Anyway masa tu illy belum kahwin lagi. Illy duduk dengan my younger bro. Our parents ada la datang jengok sometime but my point here is most of the time memang kitorang berdua jer. Nak di jadikan pengalaman. Ada satu malam tu illy tengah tido tingkat atas sekali lepas tu masa tido tu katil memang illy hadapkan depan almari selalu nya.Pastu kan… malam tu kan, masa illy tengah tido tertiba rasa macam ada orang tengah korek almari. Lepas tu macam tersedar tau. Illy panik sebab ingatkan mimpi rupanya memang betul ada lelaki tengah korek gali almari keluarkan baju. You know what? I tried one of the spiciest chillis in the world and I survived! Haha yes.. Last weekend, I was invited by Nuffnang to join this Spicy Challenge Event sponsored by Cool Tea that was hosted at Chili Rush. Honestly, I came to the restaurant before during my farewell party of my ex company. I remembered how ‘ganas’ is their chili before and to come once again after 3 years it bring so much excitement. Hahaha.. Arigato to Cool Tea for hosting the event. I had so much spicy fun. 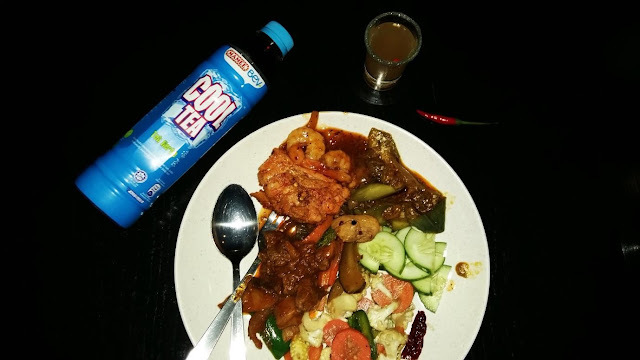 At the event we were introduced to the Cool Tea range since it helps to combat spiciness.. So ngam right? Have you tried them before? Sedap weyh rugi kau tak try. Have you try out Shopee? Rugi tak try sebab best! Happy nyer illy nak share, pasal ni, eh jap before that korang pernah dengar tak pasal shopee? Illy suspect mesti pernah sebab nampak banyak juga kawan2 illy ada kat fb pasal shopee ni. Illy first time cuba and actually quite interesting la.. Nak register pun senang jer, seriously within couple of minutes jer illy register. 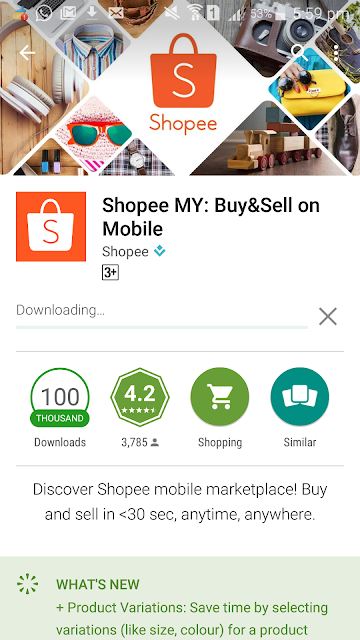 All you need to do is just pergi kat korang punya apps store pastu search Shopee. Then download. Lepas tu korang bole register using your email or nak senang register pakai facebook terus pun boleh. Illy buat pakai facebook jer. Nanti cuba tau? Ada kawan illy cari tak jumpa - jumpa.. Kalau nak cari illy suggest pergi leading super market atau kedai groceries.. ada tu hehe Selamat Mencuba! * I am not paid to write this review. Product courtesy by King's. As usual, I will test and review products or services regardless of whether they have been sent to me or not with honesty. Unless stated so in the post or marked with an asterisk, all products featured on this blog have been bought with my own hard-earned pennies. I started this blog to give my two pennies worth of thought and have fun along the way and that is exactly how this blog shall remain. Just in case you are wondering, my main concern was my on and off acne scar and my lips. Yes my lips! I want to have pinky lips even without lipstick or gloss. Hopefully with the help of aesthetic that could be achieve soon. AMIN AMIN AMIN.. see how hard I pray? Really want it that bad. So, couple of weeks ago illy was tagged by Aynal (do check out her blog to give some support) and it have been awhile since I was tagged. I was excited and cant wait to do it. A tagged post makes it feel like you are being interviewed haha.. Now that I finally have the time to do it so here it goes, below are the question by Aynal to me and the rest 10 that was tagged in her post. 1. What is you favorite song at the moment? Michel Telo – If I Catch you , illy masukan video dia kat bawah kalau korang nak tengok. Best lagfu ni bagi happy vibe! Resepi Seafood Ala Shell Out yang Mudah, Sedap dan jimat! Teringin nak makan macam kat Shell Out tapi nak jimat and buat sendiri kat umah? Okay nak cerita hari tu illy challange diri untuk buat make over living room, lepas tu illy janji kat diri sendiri kalau berjaya illy buat make over illy akan reward diri dengan shell out. Hujung tahun ni ramai yang pergi bercuti kan? Yer la nak habiskan cuti tahunan dan juga ni la masa budak cuti sekolah jadi bole la bawa berjalan kan? Bagi yang belum kahwin pun apa salahnya bercuti ambik angin baru before start new year. Boleh, fresh kan minda untuk sambut tahun baru dengan azam baru kan? PerfumeBerry.com.my a heaven for Perfume lovers! Illy ada cerita best harini, especially untuk peminat tegar perfume.. hehe nak share skit pasal www.perfumeberry.com.my Kalau korang suka perfume please bookmark dorang punya website sebab barang dorang paling murah dalam market! Yang penting original and mostly imported directly dari US. Macam perfume ada on top of that gift set pun ada, shower gel dan macam – macam lagi la.. actually illy tengok dorang punya perfume gift set memang sesuai untuk buat hantaran. Ni dah hujng tahun ni ramai yang prepare nak kahwin kan? 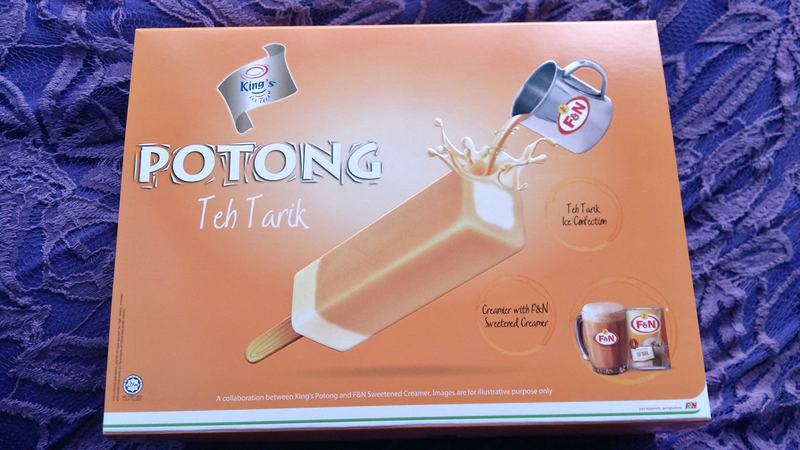 apa lagi bole cuci – cuci mata tengok collection yang dorang bawa masuk. How are you today? Hope you are are having a great week ahead. 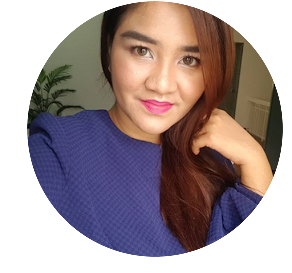 Thank you for spending your precious time to visit my humble blog and today I would like to share with you on why Mustela is my choice for Sofea. Honestly, I always try my very best to look for the best product for my baby as she tend to have a sensitive skin right after she was born. The first time I bump into this brand is when I saw it at one of mummy’s clothing shop at one utama and I have been curious ever since. Then my bestie from blogging world Ayna shared that she been using this brand for her son, Ammar. Guess what, one day I got an email from the brand saying that they would send me Mustela product for a review and I am like yes!! Dont get me wrong, even if they don't send it over I would still go out to purchase and try it out for my baby. After all, the main reason I get this blog up is to share my 2 cents of insight of services or product that worth to be shared. Gambar tunang kitorang, over kan? macam gambar nikah. Nervous nya, first time tulis kisah cinta kat blog. Risau apa orang kata.. tapi takpe illy niat nak tulis ni sempena ulang tahun perkahwinan special untuk my dear husband. Kitorang kenal dah 7 tahun dan Alhamdulilah hari ini genap 4 tahun kami lalui alam perkahwinan. Sekarang dah ada Sofea. Bersyukur sangat pada Ilahi sebab bagi peluang bagi illy untuk rasa semua ni. Harini nak jiwang skit la nak cerita pasal our love story.. jangan muntah hijau k? Kalau tak nak baca come again esok or next week for beauty reviews and other write up.. Today illy jiwang, mood in love la kata kan. Masa dulu illy kerja kat Nokia pastu malam illy ada ajar tuition kat Pusat Tuition Math Clinic di setiawanga. Kebetulan Math clinic tu sepupu johan yang punya dan masa tu kawan baik dia kerja kat situ. Then Johan pun selalu lah datang.. dah kata sepupu dan kawan dia ada situ kan? Today, illy nak share dengan korang my latest favourite product which is the PocketBac from Bath&BodyWorks. I remember last couple of years masa tengok video youtube mesti ada jer beauty blogger yang mention about this product tapi masa tu takda jual kat Malaysia. Nak order dari oversea pula mahal pastu nak kena tunggu lagi, jadi masa tu lupa kan jer la hasrat nak try. Kalau nak sangat kena tumpang order kawan2 yang beli jalan oversea. Actually kan dah lama tak makan this mud crab tau. Last time masa mengandung dulu ni sekarang anak umur setahun 6 bulan dah baru dapat merasa lagi haha.. Haritu pergi dengan my bro and Sofea since my husband takde dia ada urusan. Anyway, nak cerita kitorang try yang dekat Restaurant Chillis Crab Kota Damansara. 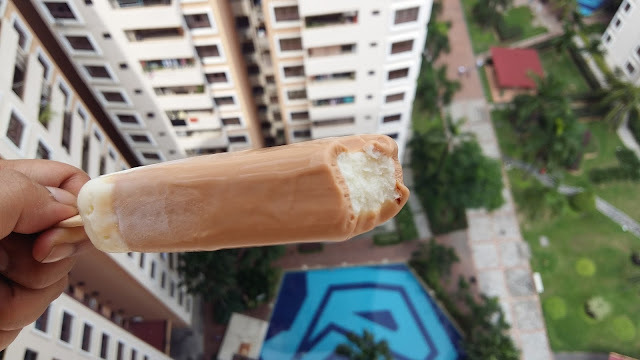 Kalau korang tau Sunway Giza mesti tau kedai ni sebab memang nearby situ jer. Today nak share pasal new produk yangi lly cuba this one is actually Pomegranate Juice atau lebih kita kena sebagai jus buah delima. Pernah dengar tak kebaikan buah delima? Mesti pernah kan? Antara Khasiat Jus Pati Delima "BURCU"
-Merawat kencing yang tidak puas dan meleleh. -Melancarkan pembuangan kecing dan air besar. - Menambah tenaga bagi ibu mengandung dan kesihatan kulit bagi ibu dan kandungan. -Merawat dan memcegah kulit kering. Harini illy nak share a very simple recipe untuk buat homemade playdoh yang paling senang nak buat tanpa perlu masak atau pun cream of tartar. Most important, it is save for our kids. Actually kan, best sangat main playdoh ni nak buat pun tak sampai 10 minit sebab terlalu mudah. Bahan dia pun murah. Selain bole jimat, kita dapat spend time dengan anak kita untuk enchance lagi dorang punya living skill dengan kita bantu mereka with sensory play macam ni. YoGood Junior - The Best Snack for your kids! All the parents that I personally knew off wanted the best fro their kids. From clothes, to toys to food. But do you know that the best gift we could give them is actually time spent with them? Yes, that is right. I found lots of article on the net saying so and from personally experience totally agreed. Well, it is telly with my goal this year where I pledge to spend as much memorable time with love ones. Today I would like to share with you an amazing experience that at BioTHIK Product Launch. Before I start, let me briefly introduce BioTHIK. Have you heard of them? If you are a frequent salon visitor, then you might have. Because BioTHIK have been in the salon industry for more than 15 years. Well, now they decided to tap into the consumer hair range market. About time right? Yeay! We were ushered all the way from KL to Avillion Port Dickson for 2D1N gateway with BioTHINK. When I received the email Kar Mun and I saw Avi Spa, I am already jumping up and down. I have been to Avi Spa before and it just amazing. Such a clever decision to host an event at a beautiful place to set the mood. Anyway if you are interested about Avi Spa, do check out my old post here. I’ll share more about the journey later on. As for now I would like to focus on the Product Launch Event. Anyway, kali ni special trip sebab pergi all girls. We were sooo excited! Malam sebelum naik flight tu illy punya la happy tak sabar nyer nak makan tom yam kat thailand haha over tak? Kami punya flight dalam pukul 1pm camtu naik Thai Airways. 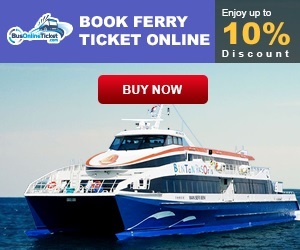 RM 1254.39 return ticket, kalau beli time promo mungkin boleh dapat murah lagi. Korang pernah pakai emas kat muka tak? Illy first time cuba hehe.. best juga rupanya. Terima kasih pada Azlinda sebab introduce product ni pada illy untuk cuba. Do you know that produk Rysya ni duta dia adalah Che Ta? Cantikan dia, nampak sentiasa anggun dan muda. Actually dulu kan illy tak tahu yang Che Ta ni ada anak besar memang tak gaya langsung. 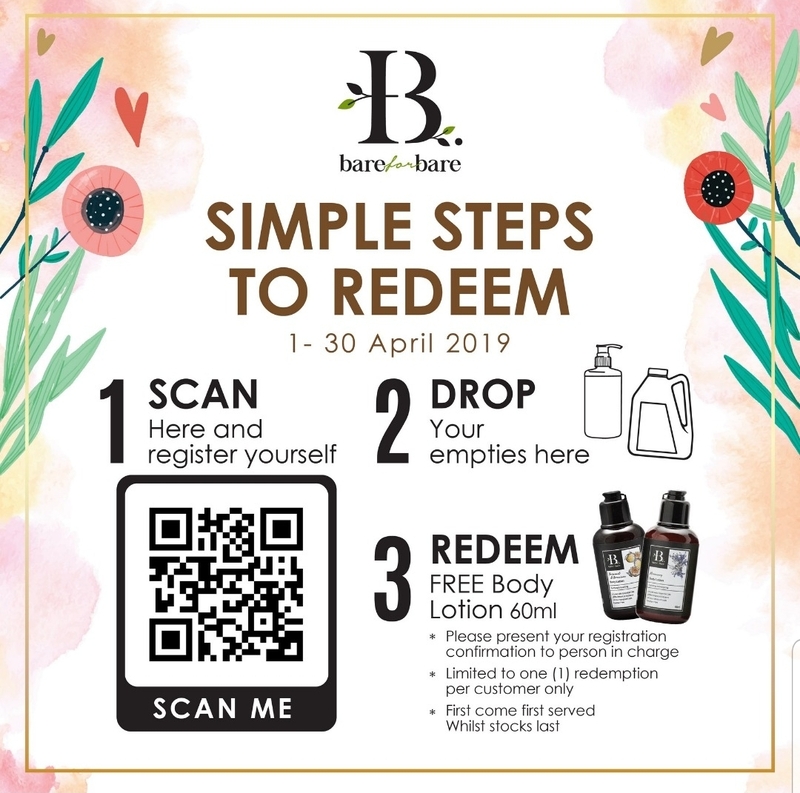 In support of Malaysia Environment Week (Minggu Alam Sekitar),Guardian Health and Beauty (Guardian) launched its ‘Bring Your Orange Bag’ or ‘BYOB’ campaign in Malacca today. In conjunction with the occasion, a series of three reusable bags, exclusively designed for Guardian were revealed to an excited audience at Dataran Pahlawan Megamall, Malacca. The Guardian BYOB campaign was created from funds collected from its participation in a nationwide ministry initiative, the No Plastic Bag Day Campaign. Signifying the three key aspects that best represent Guardian‟s values, the bags are aptly named Trust, Passion and Inspiration. How are you feeling today? Harap semua sihat dan happy- happy selalu hendaknya. 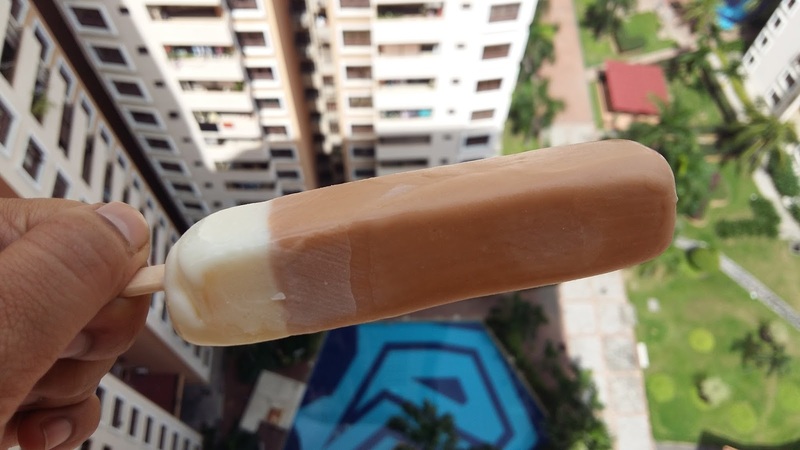 Anyway, pejam celik kita ni dah nak masuk bulan 11, cepat nyer masa berlalu kan? 2 bulan lagi dah nak celebrate new year dah.. Makin tua la kita. Mana ada orang makin muda kan? Hahaha apa la illy ni. Takpe jangan risau pasal tua, we embrace it and yang paling penting macam mana kita nak jaga penampilan dan bantu badan kita sihat dan muda selalu? Itu la yang illy nak share hari ni. Kalau kita jaga badan kita dari awal kita dapat maintain muda dan sihat selalu insya Allah. Kan ill yada share dah few times kat Instagram and facebook illy pasal produk Inteemor dari Ephyra haritu pastu siap ada buat blogpost pasal product introduction kan. So, illy nak share the review pasal Inteemor ni selepas beberapa minggu cuba. Still remember when I was still a free hair girl, sometime it took me 1 hour just to get my hair ready. Nak blow dry la nak pikir nak ikat macam mana kasi kemas and all that. 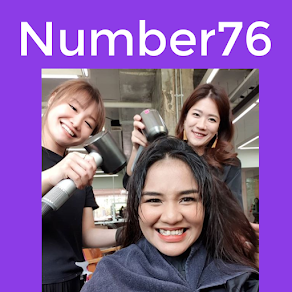 Salute to all the ladies yang gigih jaga rambut. Being a hijab wearer, one of the many good things that comes with it is that I don’t really have to think about bad hair day. Yeeehaaa!! Tapi kan… tak bermaksud lepas kahwin tak payah jaga penampilan. Sebenarnya salah satu tanggung jawab isteri adalah untuk berhias untuk suami. Kat umah mana pakai tudung kan? tak kan la nak biar serabai jer. Mesti la kena cantik and sweet jer di mata suami. Yes, jadi perempuan memang kena rajin. Actually, laki pun kena jaga penampilan juga. Bila kita jaga penampilan we will become more confident and happy. Sekarang kan tengah teruk haze, actually dah berbulan dan bertahun menda ni asyik jadi. If not mistaken lebih 10 tahun dah pun. Ada jer haze ni datang. Nak cerita banyak pun tak guna sebab kuasa takde kat tangan kita. Sebagai rakyat biasa yang takde power ni apa sangat lah yang kita bole buat kan? Kira bersyukur la kita tak sangat teruk compare dengan kawasan lain yg lagi merbahaya the API level. It is not a news anymore that we are facing a terrible haze situation now in Malaysia. Not just us, actually few other neighbouring countries were affected as well. This have been going on for more than a decade and to me it is almost like a yearly ritual. The only thing is that is getting worse each year. Missing blue sky so badly. Cant help but to think about kids, pregnant ladies and old folks that have to breath in toxin and dust into their lungs. As a grown adult, I am also affected it have been days since I have blocked nose, fever, coughing you name it. In fact, my husband and baby is also affected. Since, it is out of our control and I have no idea why it is taking so long for authorities to fix this issue from the source. I decided to share some personal tips hoping that it will help others to face this issue. Below are 6 tips that I could think off at this moment, will try to update from time to time. Let’s start shall we? 1. Haze OUT you go! The secret to have a better quality air at home is by making sure all windows and ventilations are closed. You can do this before going out to, so the moment you come back your house will have better air quality. Also not forgetting the small window in your toilet. If you are indoor and the API reading is high at your area, do wet some old towel and place it at the bottom of your door. This will act like a filter. Do you like to listen to music? If yes, then this post is totally for you. I personally like to listen to music while I am doing my house chores. It helps to keep me motivated and I take it as an exercise routine. Like any exercise, time flies faster with music on and it helps to boost up our mood while doing so. How are you? Hope semua nya okay dan going great. Harini illy nak citer sikit pasal product Botanical Drinks dari Inteemor. Kenal tak Ephyra? Mesti pernah dengar kan? Harini masuk hari yang ke 8 illy cuba product ni. Nanti dalam hujung bulan illy akan share more about my personal experience cuba product ni. In the mean time, jom baca apa most issue faced by ladies and macam mana product ni bole bantu kita correct the issue.